A natural health and wellness blog/podcast that chops it up about vegan/plant-based food & plant-based recipes, natural eczema care, fitness, wisdom, laughter, interviews & inspiration. Learn about Intermittent Fasting and it's health benefits. 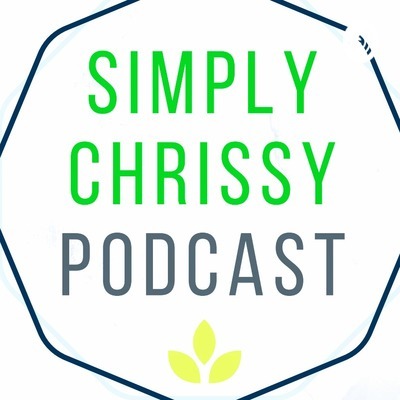 Listen to Chrissy as she tells you about her experience on her current 10 day cycle of Intermittent Fasting (March 28-April 6, 2019). Visit simplychrissyblog.com. The 2 Intermittent Fasting resources mentioned in this episode are: 'The Complete Guide To Fasting' by Jason FungBlog and #64 on simplychrissyblog.com. This super easy & super yummy vegan ice cream is simple to make, light on your wallet and good for your taste buds. Listen as Chrissy guides you through the recipe deets. The written version can be found on simplychrissyblog.com on blog #80! The quality of your daily eating impacts your quality of life. If you have ever thought of eating healthier (or plant-based), this episode is for you.